PRIMARY school children are to get creative with science as part of a massive showcase. The RDS Primary Science Fair will see more than 1,500 Key Stage 2 pupils from across Ireland display work in Belfast. The objective is to encourage pupils to think critically about the world around them and work together as a class to produce a project using science skills to investigate the unknown, puzzling or quirky. 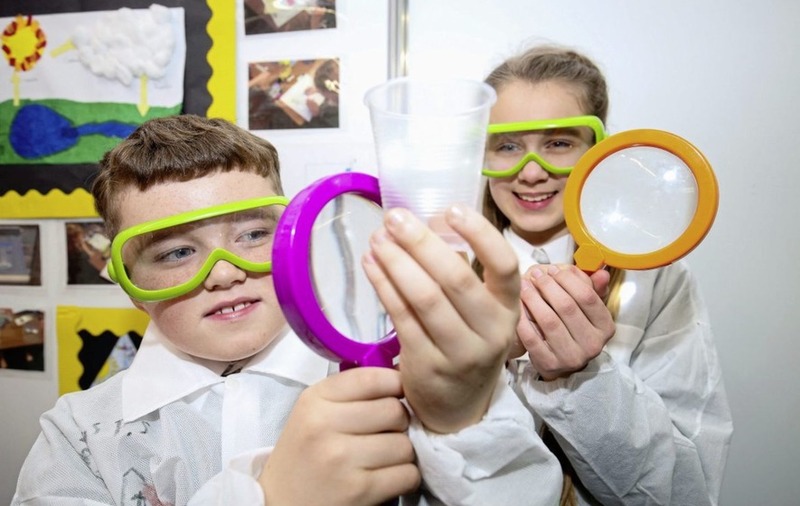 Schools will then be invited to bring their research to life by showcasing their findings away from the classroom among their peers at the two-day fair at Belfast's Waterfront Hall in June. Project applications must be received by February 14. Each project should seek to answer a specific `stem'-related question closely linked to the primary school curriculum. Last year, investigations included `How does milk make strong glue', `Does a hen's diet affect the size of their eggs?' and `Could helium balloons really lift Mrs Twit into the air?'. The RDS Primary Science Fair is already well-established in Dublin and Limerick and between the three venues will host more than 7,000 primary school children and their science projects in 2018. With an underlying ethos of encouragement through whole-class participation, all schools chosen to exhibit will be presented with trophies and individual certificates for pupils in recognition of their hard work. RDS Chief Executive Michael Duffy said he was thrilled with the 2017 event in Belfast. "The enthusiasm and excitement from the student participants, as well as the teachers and the wider stem community, was palpable," he said. "We received really positive feedback and are very much looking forward to substantially increasing our offering this year by expanding to two days. We will also have a whole new programme of science-themed entertainment to keep participating and visiting students busy all day long." Former head of the Northern Ireland Civil Service Sir Bruce Robinson, who has been involved with the fair for years, said the Belfast event presented "a great opportunity to set the next generation on the path towards a stem career". "Stem subjects are vital to creating a future workforce of innovators and safeguarding the economic stability of Northern Ireland," he said. "The fair is designed with primary school-age children in mind and to provide them with an entertaining, engaging and interactive learning experience." :: Schools hoping to take part should visit the RDS Primary Science Fair website to download an information booklet. Applications must be received before February 14. 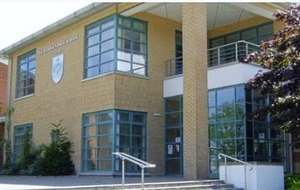 For information, visit www.primarysciencefair.com or telephone 0345 2661897.